Last month in Ann Arbor Michigan, Iggy and the Stooges played a benefit concert celebrating the life of Ron Asheton. 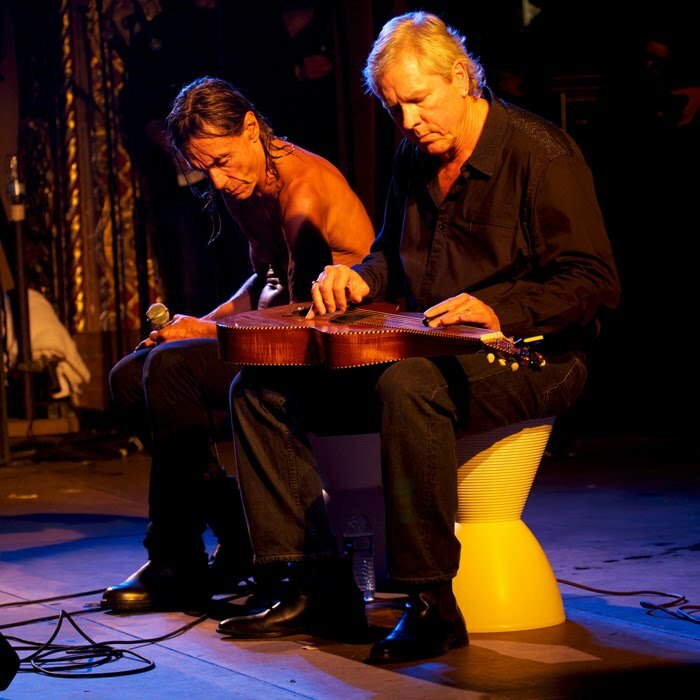 Just before the show ended, Iggy Pop and James Williamson sat down to perform a special acoustic tribute, called 'Ron's tune'. The original music was by James Williamson, with the lyrics by Iggy Pop. The arrangement was performed live on a Tony Francis Style 4 made for James in 2010.